May 21, 2014, 12:56 p.m.
Society has become “supremely arrogant” in ignoring the importance of sleep, say scientists from Oxford. According to their research, people are now getting one to two hours less sleep a night than they did 60 years ago, which can lead to “cardiovascular disease, diabetes, obesity and potentially cancer”. 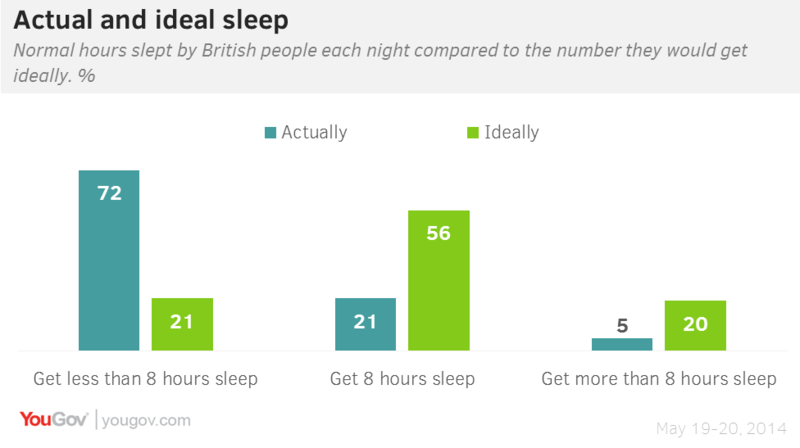 A new YouGov survey finds that British people are indeed getting less sleep than they would ideally – even those who say they are happy with their level of sleeping. Most people say they would ideally sleep for eight (56%) or more (20%) hours a night. However, in reality only 21% get eight hours each night and only 5% get more. 37% get seven hours sleep per night, and a further 35% get less than that. 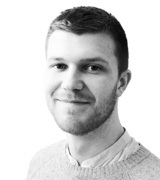 Londoners get less sleep than average, with 80% getting seven or fewer hours sleep per night. People are evenly divided between being happy (48%) and unhappy (45%) with how much sleep they get, while 91% of those who say they are unhappy get less than eight hours sleep compared to 56% who are satisfied with their sleep. Even those who say they are satisified with their sleep would like to get more, however: while only 44% get 8 or more hours sleep, 70% would like to ideally. True to the stereotype, 18-24 year olds are more likely (56%) to be ‘evening people’ than the over 60s (31%). But while they are going to bed later, they are also sleeping for longer (41% of the younger group get eight or more hours sleep compared to 26% of the older group) – suggesting that they really do get out of bed later in the morning. While seven to nine hours sleep a night is advisable for adults, scientists suggest the idea that we all need to sleep eight hours a night is a myth: “It&apos;s like saying everybody should have size eight shoes, or be five foot eight inches… The test of insufficient sleep is whether you are sleepy in the day or if you remain alert through most of the day."